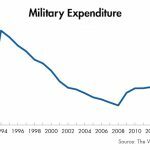 Critics of increased peacetime defense spending don’t value the sacrifices of soldiers and personnel, whose salaries and other costs make up three-quarters of the Defense Ministry’s budget, the Finance Ministry said in a statement. The government wants to build a $100 million underwater aquarium along one of the country’s major rivers and is looking to Japan to foot the bill as part of efforts to protect the environment and attract tourists, according to senior officials. 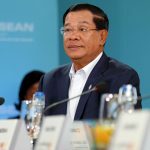 Prime Minister Hun Sen took to Facebook on Friday and Saturday to explain why Cambodia was asking France to draw up a bigger version of the colonial-era map the government is constitutionally bound to use to demarcate its disputed border with Vietnam, saying the new map will be more accurate. 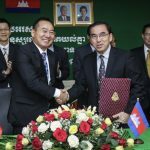 Cambodia and Vietnam plan to ask France to draw up a new version of a map the countries’ governments have been using to demarcate their long-disputed border, casting fresh doubts on the work that has been done with the map currently in use. Cambodia has seen no ill effects from a dam built 2 km from its border with Laos, Prime Minister Hun Sen asserted this week as he thanked the Laotian government for its offer to sell cheap electricity to border provinces. 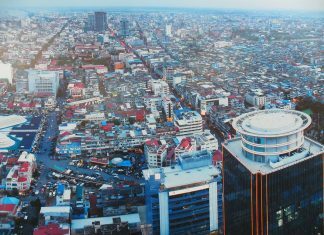 Several months after it was listed on Cambodia’s stock exchange in a bid to raise expansion capital, the country’s largest Special Economic Zone (SEZ) recorded a nearly 50 percent drop in quarterly revenue. 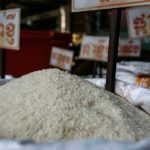 After a three-year run at the top, Cambodia’s premium jasmine rice slipped a notch, as a panel of judges at the World Rice Conference in Chiang Mai voted Thailand’s Hom Mali the world’s best rice, with Cambodia’s Pkha Rumdoul coming in second. Two years after wiring guidelines were first issued in Siem Reap City, disorderly electricity and service cables were cut down over the past week in an attempt to beautify the tourist hub, while also affecting some residents’ and businesses’ services, according to an official. Police say they are searching for a man who fatally shot a soldier after fleeing a bookstore he had robbed at about 2 p.m. in Phnom Penh on Sunday afternoon. China’s Tianrui Group intends to break ground soon on a $2.1 billion special economic zone outside Phnom Penh that will be devoted to processing agricultural products for export. After diving below $150 per ton ahead of the Pchum Ben holiday, average rice paddy prices climbed this week to $230 per ton, a figure some farmers said was still too low. A ban on small plastic bags and a charge for shopping bags at supermarkets and malls could be enforced within the year after four government ministries agreed on a draft law last week. 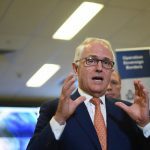 The government collected about $1.2 billion in taxes during the first nine months of the year, 20 percent more than the same period last year as the economy further shifted from the difficult-to-tax agriculture sector. 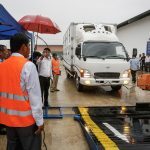 Mobile vehicle inspection units will begin to visit far-flung provinces in the coming weeks to help rural car and truck owners have their vehicles checked, though traffic safety experts said they had doubts about the initiative making a difference. 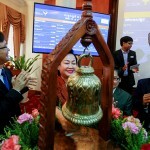 The Ministry of Foreign Affairs has opened a new public services office and formalized fees for a broad group of services often used by foreigners as part of a wider government push to collect revenue and boost efficiency.